HOLIDAY SALE - 5% OFF ALL DIY KITS - until Dec 31st - use coupon code "happy holidays"
Includes: Party Tent with steel frame, (1) double zipper door, (1) solid end panel, (2) walls with windows, All walls and doors are removable - includes storage bags & assembly instructions. To provide the lowest possible price on this item, we custom quote shipping costs to your state. 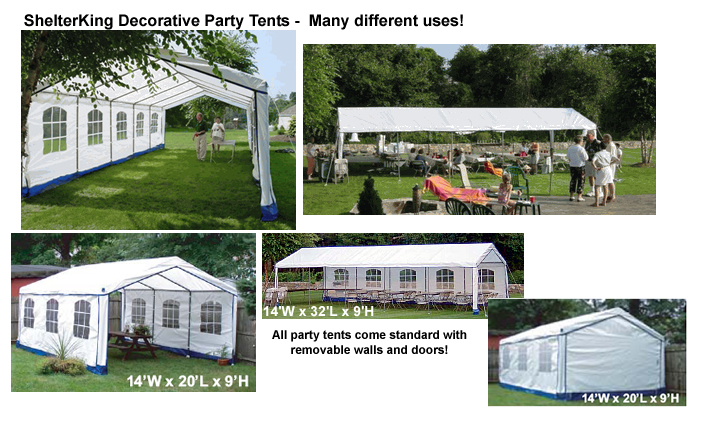 MDM Rhino Shelter Party Tents are an attractive and elegant solution for any outdoor gathering. The removable walls and doors allow you to set up the tent for any occasion. The steel frame and UV protected, fabric back cover material means you get many years of use out of this versatile shelter. MDM Rhino Shelter Decorative Outdoor Party Tent offers an attractive and elegant solution for outdoor parties, weddings, sporting events, show booths or any impromptu gathering. The removable sides and doors allow you to configure your party tent for any occasion, with full enclosure, one wall, both walls or leave all walls and doors off and use as a canopy. The walls attach with velcro fasteners and bungees for quick / easy adjustment. An attractive royal blue trim and skirt add a decorative finishing touch to the tent and the white fabric interior provides illumination inside the tent from reflected light source. All fabric components are made with an industry-leading 8 oz. UV-protected fabric backed polyethylene material that is CPAI-84 Fire Rated for public gatherings. 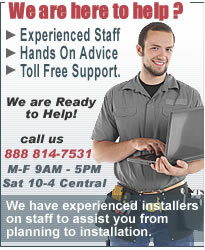 The cover carries a 1 year warranty. 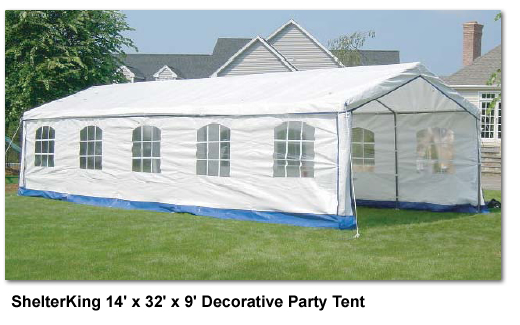 The party tents heavy duty steel 1 5/8" diameter frame members are pre-drilled and feature and easy slip-fit design for easy assembly. No special tools needed. Frame pieces have a decorative hammertone baked on finish. © 1999-2010 patiostore.com a division of Horizon Building Systems Inc. All Rights Reserved. All images and text on this site is property of www.patiostore.com or their respective manufacturers.